The first (unofficial) sales numbers of the colorful iPhone XR are in, but before Apple can tell us whether it considers the cheaper 2018 handset a hit or not, the company is gearing up to finally talk initial iPhone XS demand. We’re only a few days away from the release of a detailed financial report for the July - September timeframe, and analysts are working overtime in their attempts to anticipate the most important figures. Those include revenues and profits, as well as the average selling price (ASP) of the Cupertino giant’s mobile device family. The latest J.P. Morgan forecast relayed by AppleInsider calls for a new record to be posted in that department on Thursday, November 1. Namely, the financial services company’s industry pundits expect the iPhone ASP to go all the way up to $801, improving the previous all-time high number by around $5. If Apple indeed pulls that off, it’s going to be primarily thanks to the iPhone XS Max, which costs $1,099 and up. 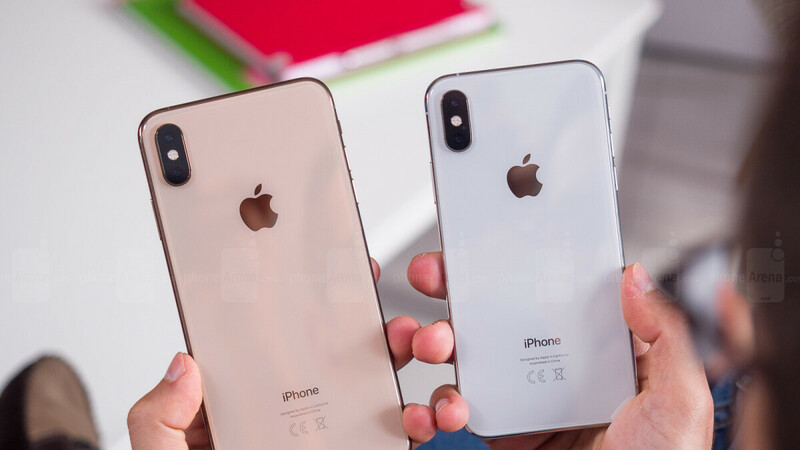 The larger of Apple’s two OLED 2018 iPhones substantially outsold its little brother at first, according to a number of trusted sources, although its popularity may have declined since launch. As such, it remains unclear if Apple will be able to maintain this mind-boggling ASP level throughout the holiday season. Probably not, as the lower-cost iPhone XR is tipped to eclipse both the XS and XS Max... eventually. The $796.42 iPhone ASP record Apple is on the verge of surpassing was reported in Q1 2018, i.e. the final three months of 2017, when the iPhone X launched to critical acclaim and far thicker profit margins than the iPhone 8 and 8 Plus. Things are obviously different this year, as the cheaper of the three new models came last to market. The aforementioned Q4 2018 (July - September) ASP could represent a whopping $77 quarter-to-quarter hike, while total iPhone shipments are projected to reach 46 million units, roughly on par with the same period from last year. Meanwhile, overall revenue could escalate from $52.6 billion to around $62.3 billion year-on-year, owed in large part to this big iPhone average selling price increase, as well as strong Apple Watch sales, and rising “Services” income. Look in the mirror...Samsung are selling phones that are $200-$300 and has an ASP at $300-$350, but sell a Note 9 for $1250. Greediness as well.. Seriously comparing note 9 with icrap xs max priced almost $1700 for 512gb variant!!! Seriously comparing iOS with garbage OS. Come on, there is not a company oyt there that is not greedy. Is apple more so, yes All companies are in business to make as much as they can and apple just knows how to milk their fans the best. ....Apple just knows how to build a device their fans are willing to pay for. (There I fixed that for you). Retention is the best business strategy in any business - you don’t get retention by selling or providing bad service for high prices. Grow up sissy. Actually, you’re both right. She doesn’t need to grow up, she’s spot on correct. Hell...Apple has milked me too, not gonna lie, but if the devices were sht, I’d have more money then I currently do. Saying Apple is more greedy than others is an immature argument - and that was what I referred to when I said “grow up”. Everyone needs to understand that every company will push to get every penny that it can. Just because Samsung isn’t selling for what Apple sells doesn’t mean they’re doing it out the goodness of their hearts. I mean we all understand basic economics. Why diss Apple for being better at it than others.